It’s time to celebrate all the dear old dads out there with some thoughtful gifts that still won’t break the bank. We’ll be updating this post until the big day, so check back periodically for more deals. If you missed the Invicta sale (or didn’t find anything you liked), Amazon is having another huge watch sale for Father’s Day. With brands like Timex, Bulova, Citizen, Daniel Wellington, and more, this isn’t something you’ll want to pass up. But time’s a-tickin’ on this deal and these prices only last until the end of the day. 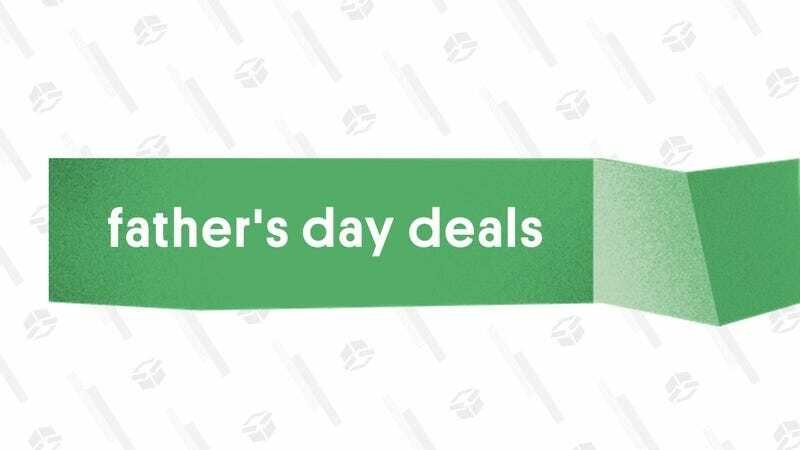 Amazon’s Father’s Day device deals just went live, with big savings available on Echoes, Kindles, Fire tablets, and more. So if Dad’s had a new Kindle on his list, or if you want to get him an Echo Show to video chat with the grandkids, now’s the time to buy. Some of the deals, like the Echo Dot, have additional savings available at checkout if you buy two as well. It’s the perfect time to plan for a a big run (or finish off training for an upcoming race). Nike has the perfect sale for those of us that need to update their workout wardrobe, because god knows how long you’ve had those leggings or basketball shorts for. For the next few days, they’re taking an extra 20% off almost 4,000 sale styles for men, women, and kids with promo code 20SUMMER. Everything from running tights to sneakers to sports bras is included. If you think your dad could make use of a $100 Amazon gift card, and if he has size 10-13 feet, you’re in luck. All you have to do is buy a $100 Amazon gift card for $100, and it’ll come in a special gift box with a pair of Happy Socks, while supplies last. You can’t choose the size, but if the deal fits, wear it. The smartest Roomba is also our readers’ favorite robotic vacuum, and you can get it for $699 today, which is within $20 of the best price we’ve ever seen. That’s a lot of money for a robotic vacuum, but the 980 earns its keep with intelligent sensors that map your house, extremely powerful suction, and Wi-Fi/app/Alexa support so you can start it from anywhere. Thousands of our readers have bought Bowflex’s adjustable SelectTech dumbbells, and you can put them in your own home gym today for $250. If you’ve got the space for a work bench in your garage, Walmart has this Workpro model on sale for just $85, complete with a built-in pegboard, drawers, and even an LED work light. If your refrigerator doesn’t have an automatic ice maker, or if you just want one for something like a boat or an RV, this countertop model can produce up to 26 pounds of ice per day, and it’s down to just $90 today. So you find some sticks just laying on the ground, toss them into the stove and press a button to light them on fire Update: I misunderstood, it comes with some fire starter that you can light with a match and throw into the stove, but it doesn’t start itself, sorry! Then, you plug your phone into the USB port on the side of the stove, which is connected to a battery that is recharged by the flames. It’s completely bonkers, and yet it works. Of course, this also works as a regular old camp stove, and at full power it can boil a liter of water in under five minutes. It’s also super light, and is about the size of a large water bottle, so it won’t take up too much space in your camping bag. From now until Father’s Day, you can save $26 on the stove with promo code BIOGMD20. If you’re planning your next outdoor adventure, or just need a gift idea for your adventurous dad, Backcountry is here to help. This week only, take 20% off any full-priced item with the code SMR20. Uniqlo’s affordable basics are even more affordable than usual this weekend. For starters, the site’s running a general-purpose sale for both men and women, with pretty crazy prices like $20 dress shirts, $8 women’s leggings, and $20 Airism polos that can help you beat the summer heat. The men’s sale is definitely more expansive, ostensibly because of Father’s Day, but they’re both worth browsing. The more interesting deals though are probably the multibuy promotions for men and women. The specific deals depend on the products you’re buying, but for example, you can get two Airism boxer briefs and/or t-shirts for $15, or a couple of polo shirts for $30. It’s a proven fact that food tastes at least 50% better when it’s consumed outdoors on a summer evening. But if your current outdoor dining setup isn’t up to snuff, a whole bunch of Mainstays patio furniture is on sale right now from Walmart, with free two day shipping to your home in most cases. In addition to dining sets, you’ll find individual seats, bench swings, lounge sets, and more, so you can make the most of the nice weather. Scope out this Rivet sale on Amazon and you might find yourself a piece of upholstered furniture, all around 10% off. If you’re a little skeptical about buying a couch you’ve never seen before, Jillian recently bought a Rivet sectional and loves it. There are about ten or so styles of couches, armchairs, and ottomans to pick from, and they’ll all ship to your house for free. So head over to Amazon to check it out. After they upgrade their regular light bulbs, many Philips Hue owners’ first accessory purchase is the Hue LightStrip, a custom accent light that can stick under cabinets and furniture. 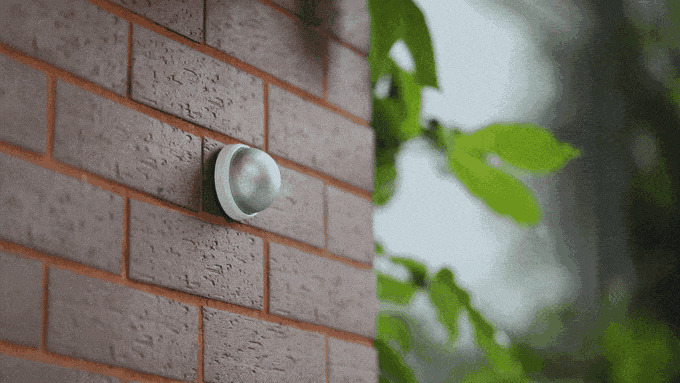 But if you want to make the smart lighting leap all at once, you can get a four-bulb starter kit and the LightStrip for $200 today. That’s about a $20 premium over purchasing the starter kit by itself right now, but considering the LightStrip starter kit sells for $90, it’s a bargain. This 150 lumen camping lantern runs off solar power, and is inflatable, meaning it hardly takes up any room in your bag during the day. That’s a compelling product pitch on its own. But the 2,000mAh battery and USB charging port is what really puts it over the top. That’s a small battery, to be sure, and and the tiny solar panel won’t charge it all that quickly, but it could give you enough juice to make an emergency call, or less urgently, revive your phone to post a few more Instagrams from your camping trip. Just clip the $10 coupon on the page to save. For a limited time, promo code LFHKR20 will save you 20% sitewide at Backjoy when you spend $45, including accessories like their massage products and their strap-on lumbar pillow, which I tested out and really liked.